The Japanese designed and made Sanden Eco Plus hot water heat pump is the newest and most advanced heat pump available in Australia. 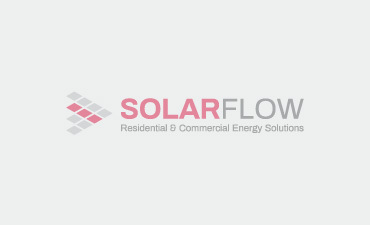 Solar Flow is the leading supplier of the Eco Plus model in Melbourne with 5 years experience supplying and installing Sanden heat pumps. This Eco Plus model can save up to 80% in electricity energy costs compared to other traditional electric heaters – 4.5KW of heat energy is generated from an electrical input of only 0.9kW thus giving a coefficient of performance (COP) of 5. Sanden Eco Plus heat pumps are much different from other systems used for heating water. They make use of the ambient heat in the environment to warm water up. They act like a reverse refrigerator in that they take heat out of the atmosphere and transfer it into your water. The very cold refrigerant is passed through a coil where it absorbs heat from the surrounding atmosphere. The heated refrigerant is passed through the compressor which increases its pressure (and therefore the temperature). This heated refrigerant is then brought in contact with water through a heat exchanger. This process is significantly more efficient compared to systems where other forms of energy such as burning gas or using an electric element are used to heat water. Given that nearly 25% of household energy consumption in Australia is used for heating water, Sanden heat pumps have the potential to reduce much of the energy burden in Australia. The Sanden pump is so efficient it doesn’t require any electric boosting unlike some of its competitors. It also has the fastest recovery rate of any heat pump in Australia: 50% faster than the nearest competitor and can supply a steady flow of hot water (at 65 degrees) even in outside temperatures as low as -10 degrees. Another great point about the Sanden heat pumps is they are ecologically friendly. The refrigerant used R744 (CO2) is not harmful to the ozone layer unlike the HFC gases used in traditional heating and cooling heat pump units. You can install the Sanden Eco Plus model anywhere around your house with the help of a plumber and electrician, and no refrigeration mechanic is required. Given its efficiency and ease of operation, Sanden heat pumps start saving you money straight away.